We are grateful to our funders, current and past, for the support provided to conduct assistive technology work. The following community partners provide a variety of services to NH residents throughout the state. Please contact these organizations directly to learn more about the particular services they offer. ATECH Services is a non-profit statewide organization, whose mission is to maximize abilities at home, school, work or play, for individuals affected by disabilities, or the aging process, through the provision of assistive technology, education, or community health services. Since 1991 ATECH Services has assisted over 20,000 New Hampshire residents affected by disabilities or the aging process in achieving their goals at home, school, work, or play, through the provision of assitive technology. 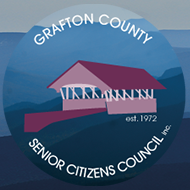 The Grafton County Senior Citizens Council Inc. offers a variety of AT devices for reuse, focusing particularly on older residents' needs. Northeast Deaf and Hard of Hearing Services operates a Listening Devices Loan Program. The mission of the Northeast Passage is to create an environment where individuals with disabilities can enjoy recreation with the same freedom of choice, quality of life, and independence as their non-disabled peers. Northeast Passage offers demonstrations and rental of a tremendous variety of adaptive sports and recreation equipment. The Center is open 12 months a year, 9 am to 4 pm Monday through Friday, closed on Federal Holidays. COA serves the residents in Andover, Danbury, Grantham, Newbury, New London, Springfield, Sunapee, Sutton and Wilmot. In addition to over 27 seasonal programs and services offered in house, COA partners with area organizations for the use of larger and more open halls. We have a volunteer force of over 200 dedicated individuals and a membership of over 2400 people. Volunteers contribute more than 8,000 hours of services annually. The transportation program's volunteer driver corps drove over 60,000 miles in 2006, providing rides from important health and wellness visits, to picking up the week's groceries. A.T. for Education provides Assistive Technology & Accessibility Services for Students & Adults to access Education and Employment. (We also provide AT Assessments & Services for Adults, Seniors, and Veterans to Access Home, Community, ADL’s/Independent Living and the Workplace via Access4Employment). In addition to doing group presentations regarding Hearing Assistive Technological devices and Communication Apps, the specialist is able to meet with individuals on an individual basis to assess the devices that could meet their needs to enhance their ability to communicate with others as well as to demonstrate alerting devices that would enhance their awareness of environmental sounds. Gray Consulting and Therapy specializes in Assistive Technology for speech and language disabilities. This includes Augmentative Communication, Assistive Technology, and traditional speech language therapy for older children and teens. We provide services in our office, as well as in local school districts. They offer a flexible school consulting model, individual-specific evaluations and consultations for children and teens. Future in Sight provides assistive technology assessments for those with visual impairments in schools and through their offices. They also a monthly technology users group. The Administration for Community Living (ACL) was initially established on April 18, 2012 by bringing together the Administration on Aging, the Office on Disability and the Administration on Developmental Disabilities. Since then, ACL has grown significantly. Through budget legislation in subsequent years, Congress moved several programs that serve older adults and people with disabilities from other agencies to ACL, including the State Health Insurance Assistance Program, the Paralysis Resource Center, and the Limb Loss Resource Center. The 2014 Workforce Innovation and Opportunities Act moved the National Institute on Disability, Independent Living, and Rehabilitation Research and the independent living and assistive technology programs from the Department of Education to ACL. On June 2, 2015 the Federal Register published ACL’s updated Statement of Organization, Functions, and Delegations of Authority. An online version of the published Statement is also available. The Statement reflects ACL’s expanded mission and details the organization structure and roles and responsibilities of its centers and offices. From the beginning, ACL was based on a commitment to one fundamental principle—that people with disabilities and older adults should be able to live where they choose, with the people they choose and fully participate in their communities. Inherent in this principle is the core belief that everyone can contribute, throughout their lives.